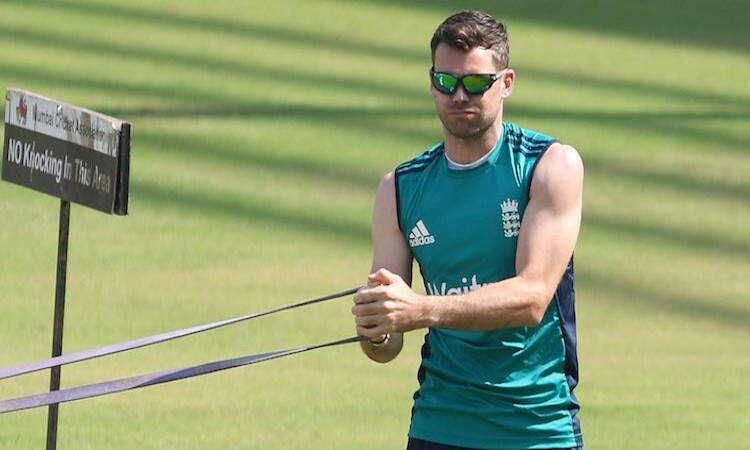 Dubai, July 24 - Ahead of the crucial five-match Test rubber against India starting August 1, England pace spearhead James Anderson has regained the top spot among ICC Test bowlers in the latest rankings released here on Tuesday. Anderson, who scalped nine wickets in the drawn two-Test series against Pakistan at home, has pushed South Africa seamer Kagiso Rabada following the Proteas' 0-2 loss at the hands of Sri Lanka in the just-concluded two-Test series. Rabada, who took eight wickets in the series, including a four-for in the opening Test in Galle, dropped to the second spot with 882 points, even as Anderson comfortably rocketed to the top with 892 points. Behind them is India's left-arm spinner Ravindra Jadeja at No.3 while another Protea Vernon Philander separates No.5-ranked Ravichandran Ashwin from his spin twin. Despite a below-par series, South Africa, however had something to cheer about as spinner Keshav Maharaj, who took a 12-wicket haul in the second Test, has gained five places to find himself ranked at No.18. Sri Lanka's veteran left-arm spinner Rangana Herath swapped places with New Zealand's Neil Wagner to take the No.8 spot. Among the batsmen, Sri Lanka opener Dimuth Karunaratne's 356 runs in the two Tests helped him gain three places to a career-high No.7 in the rankings, led by banned Australian former captain Steve Smith and followed by India captain Virat Kohli. Also moving upward is his skipper Dinesh Chandimal, who despite missing the series owing to suspension, found himself rising to No.8, two places below India's Cheteshwar Pujara. Among the other Indians, Ajinkya Rahane moved a spot up to No.19 while Lokesh Rahul is stable at No.18.